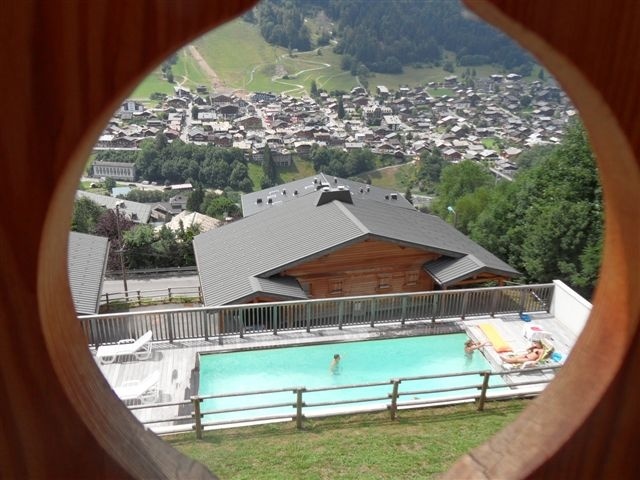 Chalet Tara benefits from outstanding views over the Morzine vally and surrounding mountains. Offering guests fantastic facilities, large open plan and spacious dining and lounge area, swimming pool (available in summer months), ski locker, stunning large balconies, log fire, under floor heating, plasma screen with Sky TV, DVD, Wifi etc. The chalet is self catered all year around and we would advise that guests hire a car. Prices starting from £800/chalet/week. There are many services available through out your stay at Chalet Tara such as Breakfast. Just ask our staff prior to booking and on arrival at the chalet. All linen, towels and cleaning are provided. The price are quoted is based on two people sharing. Please contact us directly for a single person quote. The swimming pool is only available in the summer months.